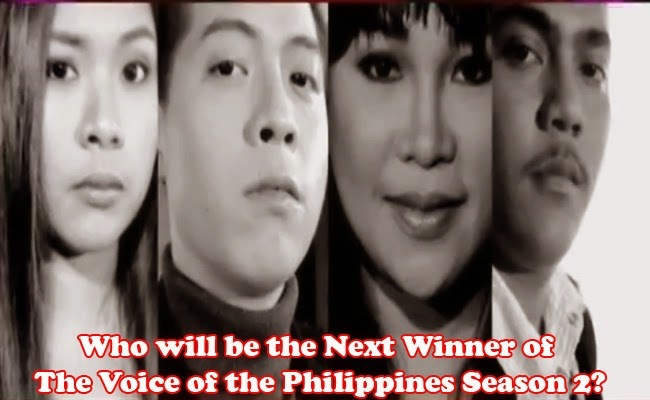 The Voice of the Philippines Season 2 is now at its final episode. Who will take away the grand title and go home with a different life on March 1, 2015. Tension reaches the highest point and the end of the journey had already arrived. The Voice was open by the Season 1 and Season 2’s Top 4 artists. Two set of performances are left to be done by the Season 2 Top 4: the secong round of solo and duet with their respective coaches. After each set of performances, the voting lines will be temporarily open for 5 minutes. One vote per sim per performance will be counted and all will be tallied in the end. The result will solely depend on the public votes. Top 2 will then be decided who will go head to head in a sudden death which results are still to be decided by votes. Rence Rapanot had been describe by his fellow contenders as a simple guy until he opens his mouth to sing. Delivering ‘Tayo'y Mga Pinoy’, an iconic song of Francis Magalona. He once again proved that OPM is still alive in the hearts of the Philippines. Leah Patricio performed ‘Run to You’ and made the Resorts World Manila cheer in their seats. She was able to deliver the message of the song without any effort. After her song, the place seemed to have gone mum for a while. Jason Dy had chosen ‘Angels Brought Me Here’, and once again proved that he can swoon hearts with and without the high notes. Sarah stood to cheer for him, seemingly proud for his achievements. Alisah Bonaobra’s ‘Go The Distance’ had immediately started with the high notes. Fitting for a girl going for a distance to reach her dreams that was once impossible, she seemed to have also swept the emotions of the listeners. Who will win? Only one round left, who will you vote for?